Agent Adrian Ruocco has revealed that Carlos Tevez will not be leaving Shanghai Shenhua in the near future. The Argentina international has been recently linked with a move to Palmeira after falling out of favour at Shenhua due to his poor form and fitness. Tevez, 33, joined the Far East outfit from Boca Juniors in December 2016, and he has since managed just three goals across all competitions for the club. In the same period, the Chinese giants have slumped into mid-table, and the club’s hierarchy have criticised Tevez for the lack of impact despite being paid hefty wages. Chinese Super League club Shanghai Shenhua have slammed a report from The Mirror which stated Carlos Tevez was being paid his mega salary while his teammates were not. The Chinese Football Association have since dismissed the so-called ‘wage crisis’ situation while suggesting that the players have been offered their respective wages. Tevez joined Shenhua from Boca Juniors in January for a staggering wage package of £615,000 a week, and he has since attracted media attention for whatever he does on and off the playing field. The Asian Football Confederation had sent a request to the Chinese clubs to ensure that they have their finances in order ahead of next year’s AFC Champions League, but The Mirror misunderstood the details by claiming that 13 of the 16 clubs could be forced to forfeit from the Chinese top-flight. On December 29 of 2016, Carlos Tevez reached the headlines of around the world as he became one of the best paid footballers in the world as his contract reported to earn the Argentine attacker $41 million each year. The former Manchester United player denied reports stating that he earned so much and Tevez said that its far less than believed as well that his main motivation to joining the Chinese Super League club Shanghai Shenhua was not because of the money but instead that he wanted a new challenge. Nonetheless, his transfer to China was completed but unfortunately for Tevez, he has seriously struggled and now rumors are being spread around suggesting that the 33 year old attacker could end his relationship with the Asian club sooner than what his contract has stated. Angry Shanghai Shenhua fans have urged the club to part ways with the services of Carlos Tevez and under-fire head coach Gus Poyet. The former Boca Juniors striker joined the Chinese Super League outfit back in December after he was rewarded a world-record £615,000 weekly package to make the switch. Tevez has struggled with niggles in his short-term stay at Shanghai, and this has restricted his goalscoring tally to just one across all competitions. The 33-year-old first came under scrutiny back in April when he was spotted at Disneyland Shanghai on a key match day where he was deemed injured. He therein received widespread from abroad as well after he was evidently walking on the playing field against a local opposition last month. 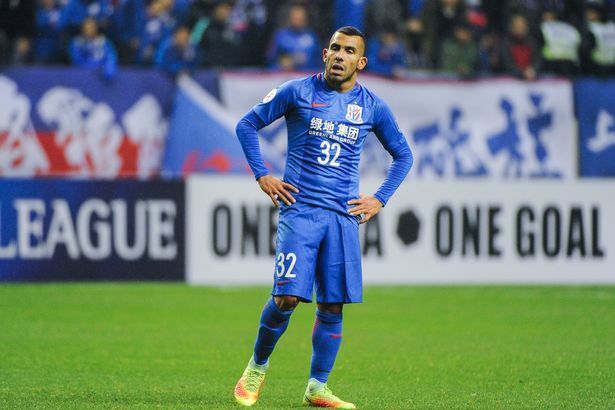 Tevez has since suggested that he was sort of fallen homesick due to his inability to adapt to the environment, and the fans want him out at the earliest opportunity following his dismal performances which have seen Shenhua drop into the lower half of the league standings. Fans of the Chinese Super League are getting tired of a misfiring Carlos Tevez, reports in China say. The Argentine moved to China this year but he has not quite impressed his teeming fans. The former Boca Juniors man moved to the Far East for €38 million but has failed to reach expectations. Reports in the CSL say the fans are losing their patience after the club spent so much in bringing him into the country and making him one of the highest paid players on the planet. The 33-year old was blasted by the public when his pictures at Disneyland Shanghai circulated on social media the same day he missed an important match due to injury. It has been over 5 months since Carlos Tevez officially joined and made his move to the Chinese Super League club Shanghai Shenhua but despite becoming one of the highest paid footballers in the sport, the Argentine attacker does not appear to be truly happy. Carlos Tevez has recently talked about his time spent in China and from the looks of it; he is not going through such a positive time in Asia as many people believed. A Football Leaks document has revealed the true wages of Argentine striker Carlos Tevez, who is reportedly the world’s highest-paid player. Tevez has consistently denied reports that he is making around £650,000 per week. However, the league has revealed that it is indeed the case with Tevez being paid just over £630,000 per week in wages alone. The former Manchester United, West Ham, Manchester City, and Juventus striker is not exactly struggling to meet his ends after having earned a huge deal of money at these clubs. Yet, such an incredible offer from Shanghai Shenhua forced the striker into accepting the offer and leaving Boca Juniors a few months ago. Boca Juniors reluctantly agreed to sell Carlos Tevez a few months ago. The striker moved to Shanghai Shenhua in a deal that has reportedly made him the world’s highest-paid footballer. With the likes of Cristiano Ronaldo and Gareth Bale making around £ 300,000 per week, it is reported that Tevez is being paid around £ 650,000 per week by the Chinese club. Rich owners have made the Chinese Super League as one of the sought after destinations for the top players looking to make the quick buck. Tevez has been through several clubs in his career and it was not a surprise that he engineered the move to Shanghai Shenhua. 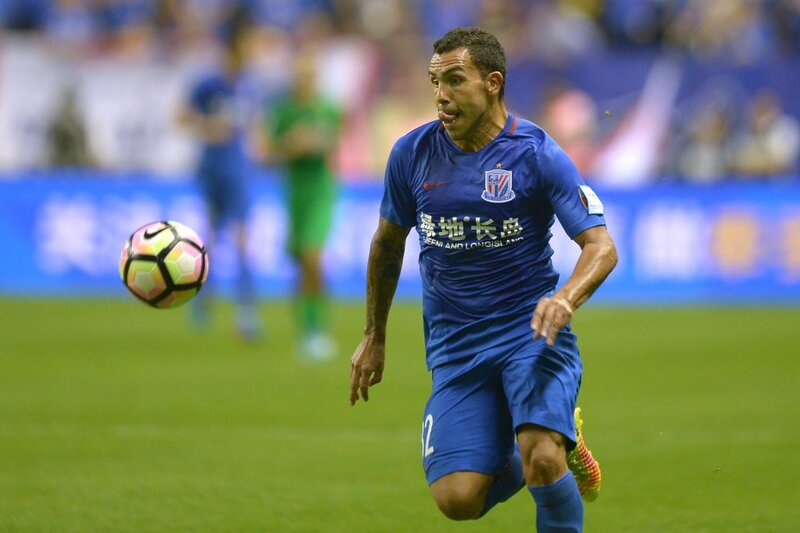 Carlos Tevez managed to mark his debut with a goal, as he scored from the penalty spot against Jiangsu Suning to help Shanghai Shenhua secure a 4-0 win. 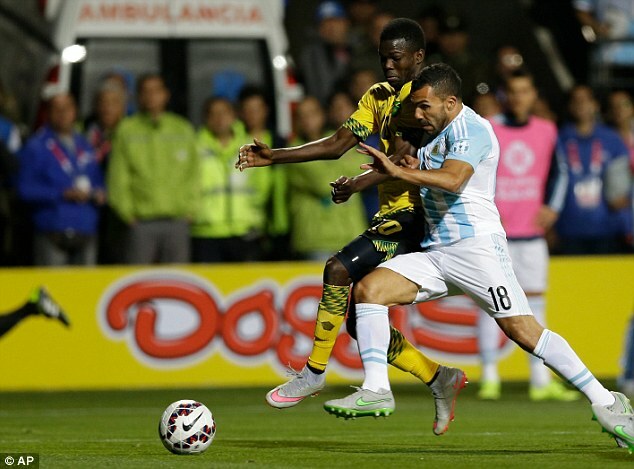 Apart from scoring the goal, Tevez also provided two assists to his teammates. Signed for around € 11 million from Boca Juniors, Tevez has recently been named as the world’s highest paid player with a salary of around £ 600,000 per week. He earns more than double that of superstars like Lionel Messi and Cristiano Ronaldo. The Chinese Super League has been looking to tempt a number of top players to move to their league.